Manchester United have finally played a match under Ole Gunnar Solskjaer in which they did not win. That is not excitement, it is just a mere shock that the Devils needed so long after Mourinho’s departure to actually lose any kind of points. 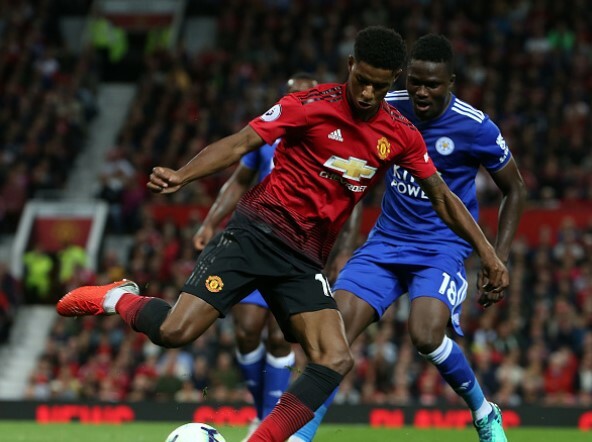 Such fine form was briefly stopped – or slowed down, if that sounds more appropriate – as Man United conceded two goals for the first time since the Norwegian manager arrived. Now, in the same week in which they drew 2-2 against Burnley, the Devils will want to return to winning ways and prove it was just a slight underperformance on Tuesday night. The opposition are Leicester City, a team that is hard to describe in a simple sentence. Claude Puel’s side is puzzling so many pundits, with their unexpected results on both ends of the spectrum. Here are some important things to know about them. Leicester are known for being good at beating top six sides, at least in comparison to other non-top six clubs. Ever since 2015-16 and that season in which they won the Premier League, Foxes always look like ready to beat sides who are realistically better than them. That was the case this season, too, especially in the last month or two. Puel’s boys won consecutive matches against Chelsea and Manchester City, two teams of similar styles. In their last match, on Wednesday, Leicester drew 1-1 against Liverpool, which were the first two points Reds lost this season to a team from the so called “bottom 14”. These are not happening for no reason. Leicester set up in their usual way for the past few years, sitting deeper and waiting for counter-attacking chances from which they pounce swiftly. And one of key men for this plan to work is Jamie Vardy. The Englishman is still doing his bit in harming teams with pace and movement, but this season he is slightly underperforming. He scored seven goals with his xG predicting him 9.48 (according to Understat), which indicates his finishing is not up to the speed it was in some previous years. This does not mean he will not improve in that regard, but it is very important to note some of key goals and assists in those wins against Chelsea and Man City happened because of him. On the other hand, James Maddison has already proved to be an astute signing. His off-the-ball work is really good for a number 10, but he is attacking-wise also dangerous. His range of passing is varied and he can create chances as well get on the end of them. Both his xG and xA are slightly below 5.00, with him scoring five and assisting four so far. Also, look out for his delivery in dead-ball situations. Just look at this – loss at Palace, then wins against Chelsea and Man City, followed by a home loss to Cardiff. After that, losses to Southampton and Wolves were followed by a draw at Anfield. It is really tough to predict what kind of Leicester will come out. Manchester United need to be alert right from the off, especially after conceding some naive goals against Burnley.